I recall a childhood rhyme that went something like this; “…sugar and spice and everything nice…that’s what little girls are made of!” As the father of three daughters and one son, there is no doubt about the truthfulness of that saying. 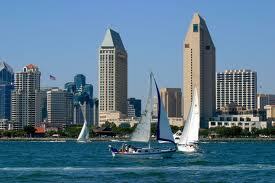 I was in San Diego a couple of weeks ago with my family. We were down at Seaport Village right on the bay having lunch. It was a beautiful day, sun shining, light breeze and we were eating on an outside deck. We were engaged in a conversation about what we wanted to do later that day when I noticed my youngest daughter, a fifth grader, was focused on something else. So, I turned to see what she was gazing at. She was following the movements of a transient man who had walked up onto the deck and was systematically searching the garbage cans for food. He was looking in each receptacle and reaching in to move the contents around. At one can, his hand came out with a partially eaten sandwich of some kind. He reached back in and grabbed a napkin and carefully wrapped the sandwich in the crinkled paper. He then slowly, but deliberately stepped from the deck onto the boardwalk and continued on his way. The homeless man had moved on, but this seemed to be a theme throughout the rest of our trip. Emma was on the lookout for homeless people she could give some food to. She is such a kind hearted little girl filled with “…sugar and spice and everything nice.”! Throughout the course of my career, I have come in contact with numerous families whose “everything nice” daughters have strayed into “not so nice” behaviors. While this is painful and disappointing for all involved, there is hope. Yes, thank you for this beautiful statement about the power and the possibility of change, and the how it can be fostered through the compassionate and courageous work of therapists and guides like the one we saw on this video. Let's continue to find ways to help more people have the opportunity to experience the insight and support that is available for them here. Dore and Loi, thank you so much for your comments. They are much appreciated! This is such a great Story, Stephen. Thank you so much for sharing. It's so nice to see that young people are caring - and wanting to help others. Service is the greatest kind of work! It seems like your daughter is going to be a world changer. You should definitely be proud. I am wondering what is the best way to approach this. Rather than giving him food - and having him dependent upon you his entire life, I would suggest that we teach him to fish. Thank you Lisa for your comment and insight. I agree 100% on assisting people in "Learning to fish". There is something good for the soul when we are independent and self sufficient. There are also complicating factors many times that include mental illness and substance use. No matter the situation, I think a "Hand Up" instead of a "Hand Out" is the best solution.